The crew quickly identified minor smoke coming from the hat-rack of seat 23 C. Taking the precautionary measure, the cabin crew on priority relocated all passengers on other seats, and further observed smoke being emitted from a Samsung Note 2, which was placed in the baggage (of a passenger) in the overhead bin. There was no fire observed but sparks were observed. Samsung has come under fire over the past month because the company reportedly rushed out the release of the Galaxy Note 7 to compete with Apple’s iPhone 7. The Note 7's battery, prone to explosion, injured the hands of a six-year-old boy and likely set a Jeep ablaze. The company is currently getting sued by a man who claims his Note 7 exploded in his pocket, causing severe burns. 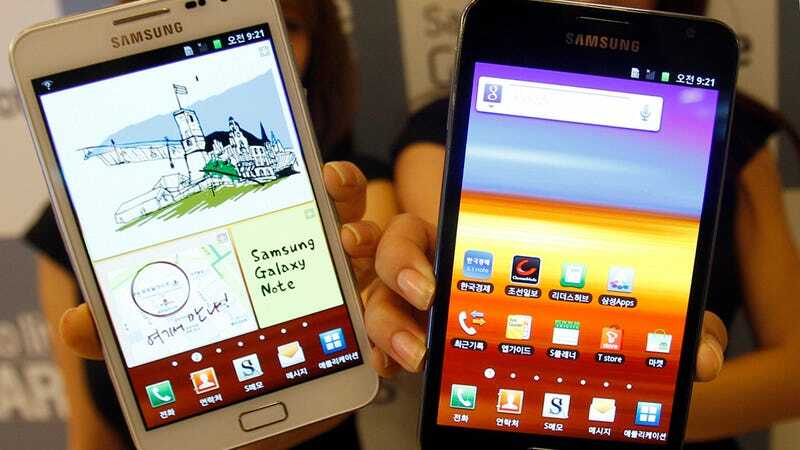 A spokesperson for India’s Directorate General of Civil Aviation told Reuters that the DGCA plans to issue an advisory warning telling passengers to turn off all Samsung phones on their flights or avoid bringing the company’s phones on planes in general. US airlines have issued similar warnings about the Galaxy Note 7. We have been informed about an incident in India involving a Note 2, which uses a replaceable battery and was released in 2012. We are in touch with local authorities to gather more information and investigate whether there were any external factors involved.